This article is linked to understanding events and actions. Lets take for example adding a new tenancy action to the event ‘tenancy status set to prospective’. Go to Settings>Automated Events>Add Action to ‘tenancy status set to prospective’. Add task – To create a task with all its functionality tick the box and name the task that has been created. See below: e.g. task created is called Notify prospective tenant of paper work required and is related to a specific task type. The event this was added to was ‘tenancy status set to prospective’. 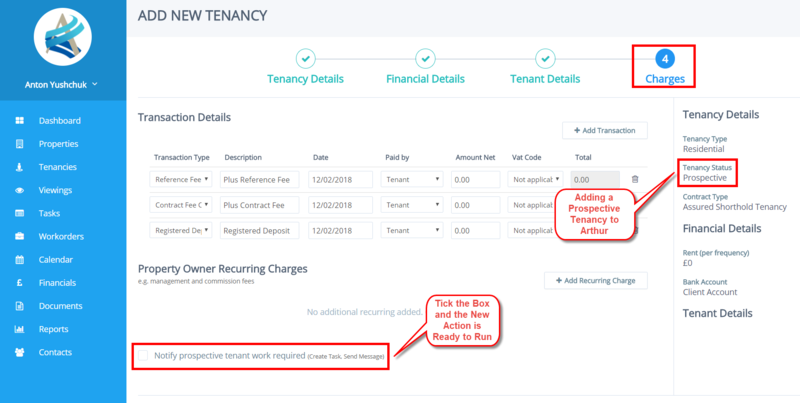 Now when you add a prospective tenancy you will have the option to run the task and send an email at the bottom. 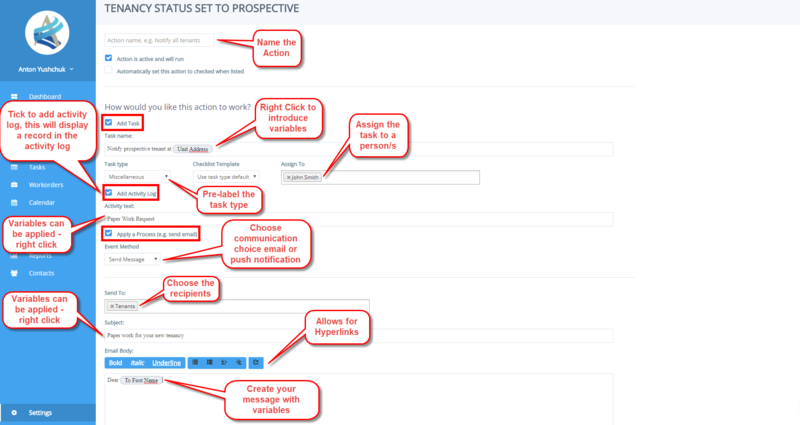 When adding a tenancy, actions will be located on the fourth stage.